Vedalam is set to open in a record 58 locations in the UK with the scope for further rise in its screen count. This is a massive screen count for Ajith and the 2nd widest ever for a Tamil film in the UK. "As of now, 58 locations have been scheduled for Vedalam by Ayngaran. This is huge for Ajith's UK market, track record and scope, and is a record release for him. UK ticket bookings for Vedalam will open this week and the buzz is very good. Vedalam will have the very clear upper hand compared to Thoongavanam (to be released by Qentertainment) in terms of opening screen count. Puli released in 62 locations. 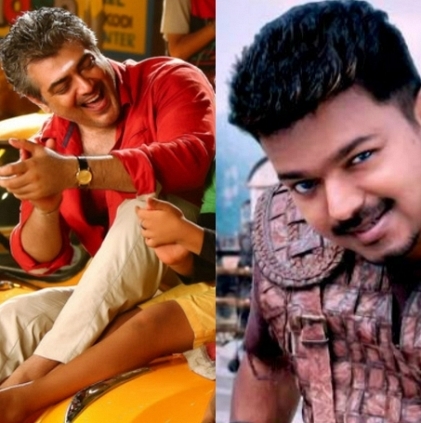 There is a chance that they will increase locations for Vedalam after release, like they did for Puli. So there is a small possibility, Vedalam might pass 62 and be the widest ever Tamil release in the UK. If Vedalam clicks, Ajith will definitely be on the rise here. Diwali release time, a good family entertainer and a 58 locations release should bring in healthy collections." Vignesh Shivan, Vijay Sethupathi and Nayanthara again? People looking for online information on Thala Ajith, Vedalam, Vedalam in the UK will find this news story useful.